For those of us living in developed countries, a pencil is nothing more than a basic tool used by school kids to scribble their first words; but in the hands of girls struggling in impoverished areas, it is a significant gift empowering them to rewrite their own fate. Last year the first “Because I am a Girl (BIAAG) – Donate a Pencil Campaign” was successfully held by Plan International Hong Kong, in support of the United Nations’ “International Day of the Girl Child”, during which the public donated 100,000 pencils within the space of 11 days. With the continuous support from Hysan Development as the Venue Sponsor, this year’s event will be held from 7th to 16th October 2014. A huge pink pencil holder will be set up at the Atrium, 1/F, Hysan Place, Causeway Bay, to collect new pencils donated by the public. The pencils will then be sent to underprivileged girls in China, Ghana, Nepal and Northern Thailand by this coming Christmas, as a gift imbued with a wish for a better future. In this year’s campaign, Plan is building on the initial concept, such was its success last year. As well as inviting donation of pencils, the public may choose from additional options such as straight monetary donations, purchase of specific Gifts of Hope, pencil packs donated by Faber-Castell or tickets for a Lucky Draw. While the pencils and Gifts of Hope will be sent to the nominated sources, cash donations will benefit projects supported by Plan’s Girls Fund. In addition to its practical aspect, the campaign’s aim is to direct the public’s attention to the challenges facing girls in developing countries, one of the most disadvantaged groups in the world. Many face double discrimination because of their gender and age, while some are threatened with early child marriage, physical violence, abuse and sexual assaults. According to Plan, over 65 million girls have never been granted a chance to attend primary school, and each year 10 million girls under the age of 18 marry, many as young as 8. While education opens a route to a better livelihood, it is also a way of securing physical protection, lessening the chance of becoming victims of child marriage, sexual or economic exploitation. It is Plan’s belief that education is the best solution for altering the fate of these girls, as they can then break free from the vicious cycle of intergenerational poverty. Mr James Murray, Chief Executive Officer of Plan Hong Kong, stated, “For many years, Plan has been devoted to helping children in need around the world, with education being a particularly important focus. The public’s participation in this campaign not only offers underprivileged children tangible aid, but also conveys their good wishes for a better future. 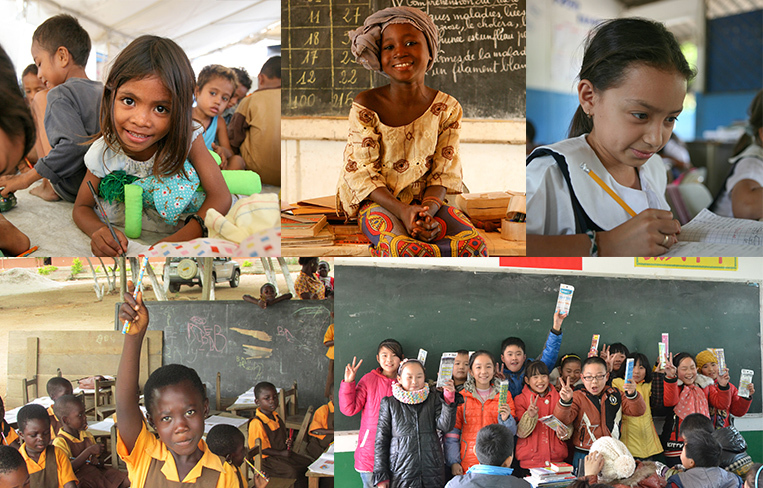 At a time traditionally associated with goodwill to our fellow human beings, supporting the ‘Donate a Pencil Campaign’ in whatever form, will provide a priceless gift this Christmas to schoolgirls in China, Ghana, Nepal and Northern Thailand. The second Donate a Pencil Campaign is supported by the following corporate sponsors, who are fully committed to devote their corporate social responsibility policies to promote and support the girl’s cause.